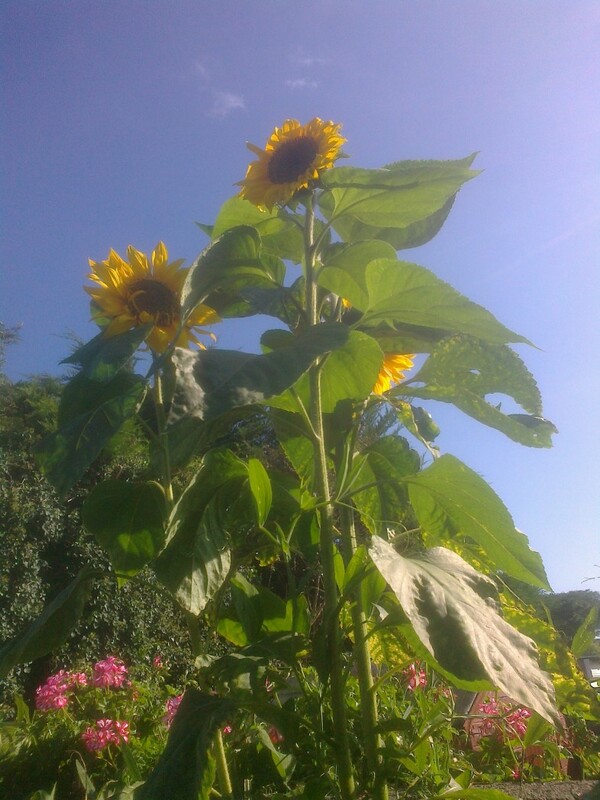 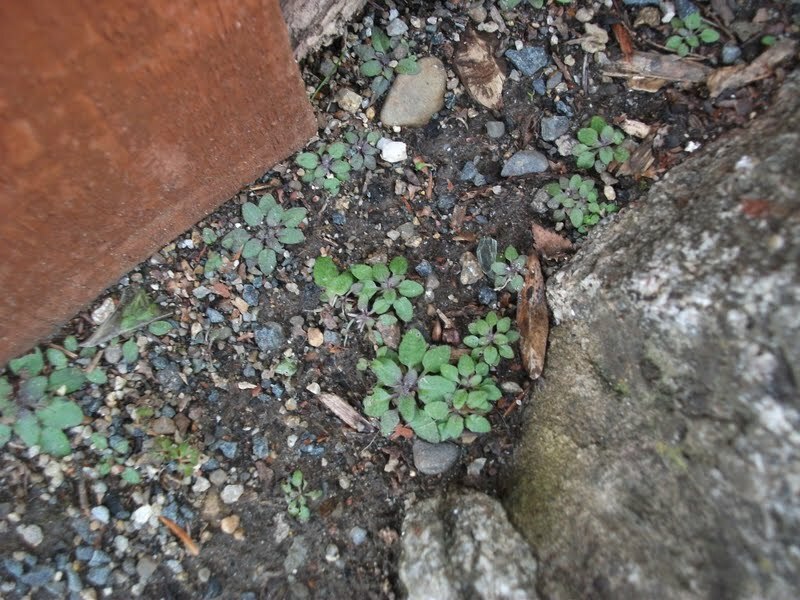 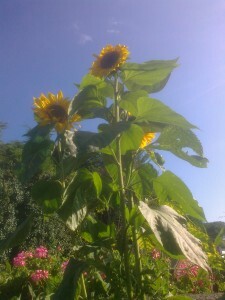 We plant sunflower seeds every year. 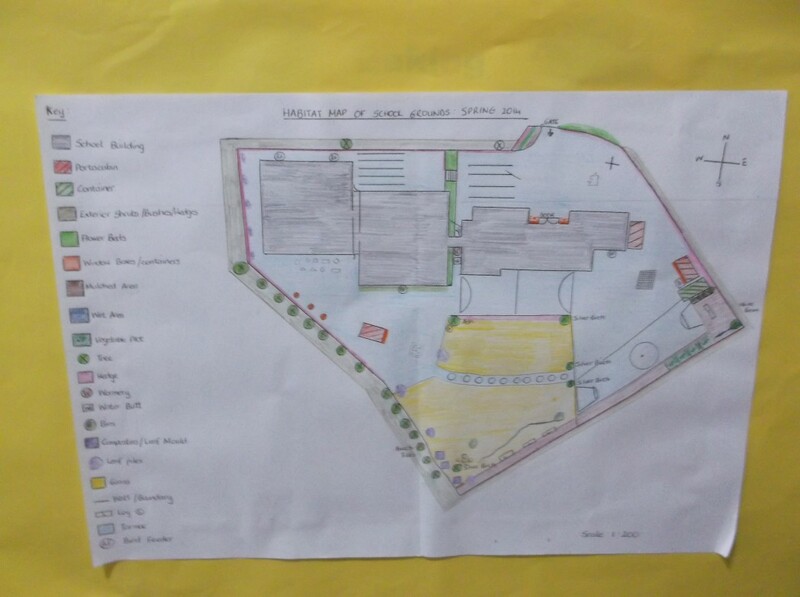 We revised our Habitat Map after our Day of Action. We planted potatoes again with Mr. Connor. 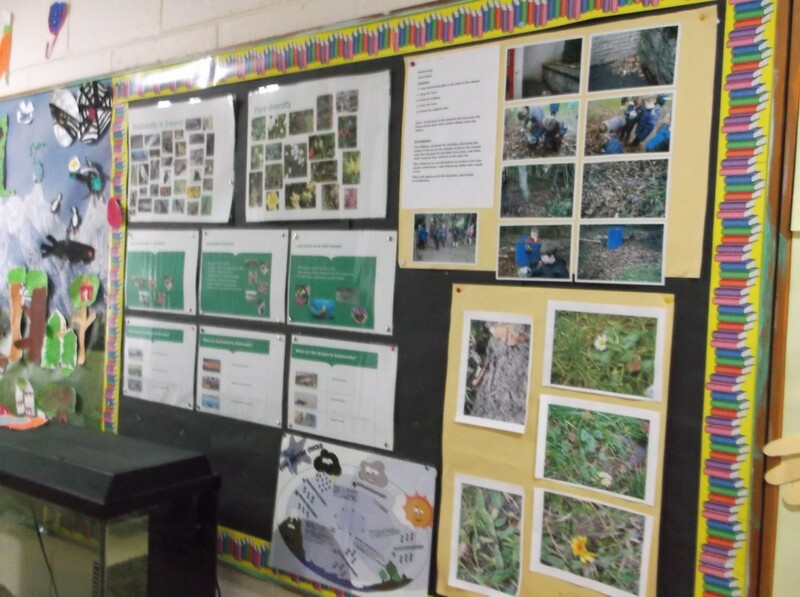 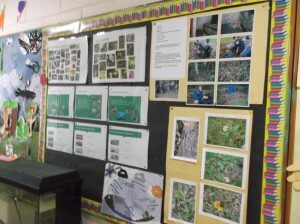 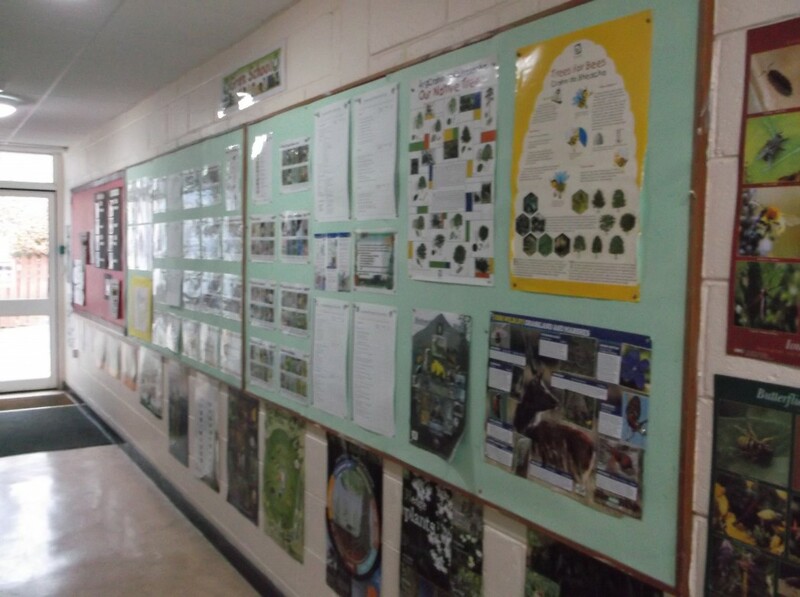 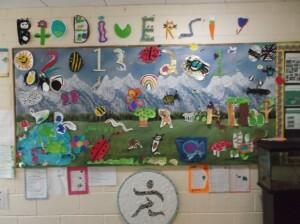 We wrote Biodiversity acrostics and designed a Biodiversity noticeboard. 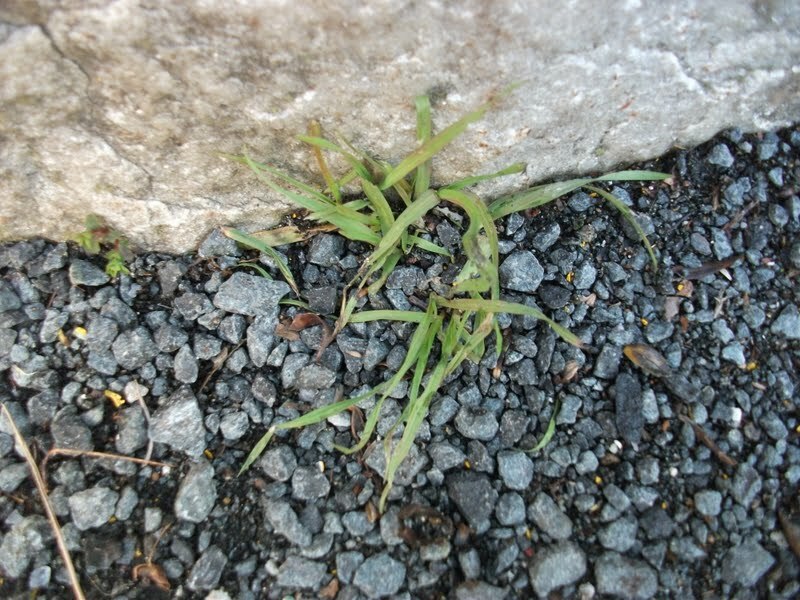 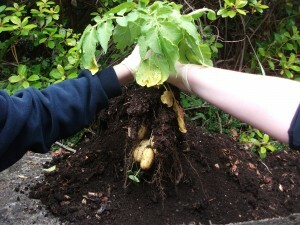 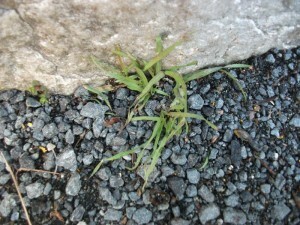 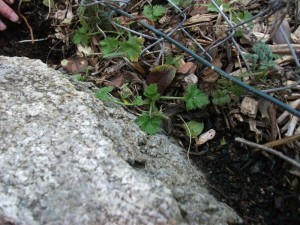 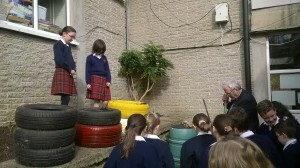 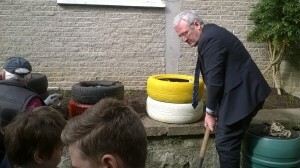 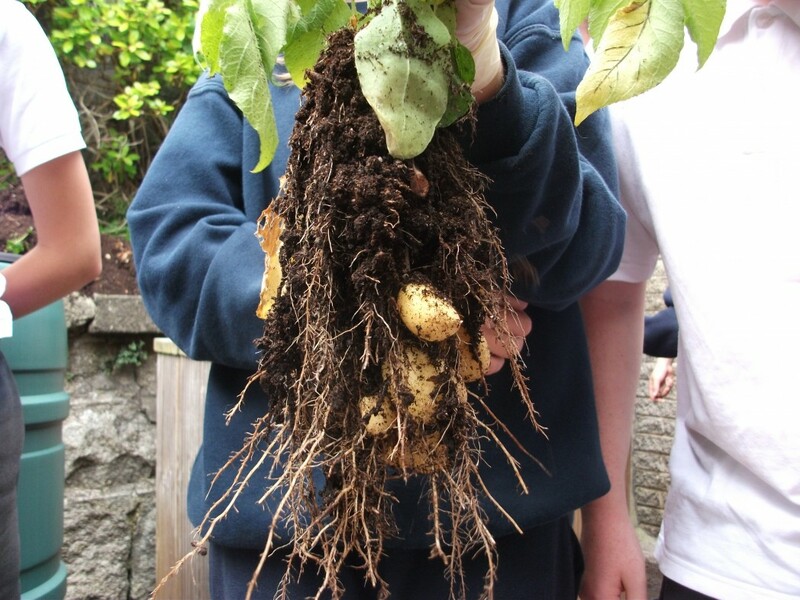 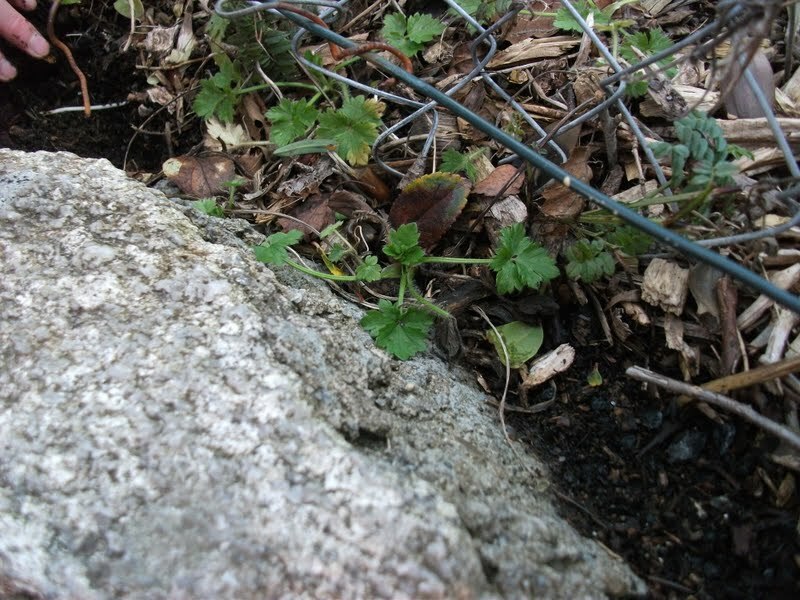 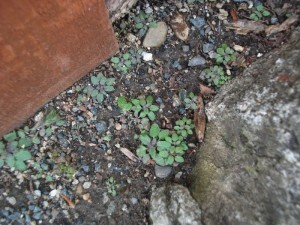 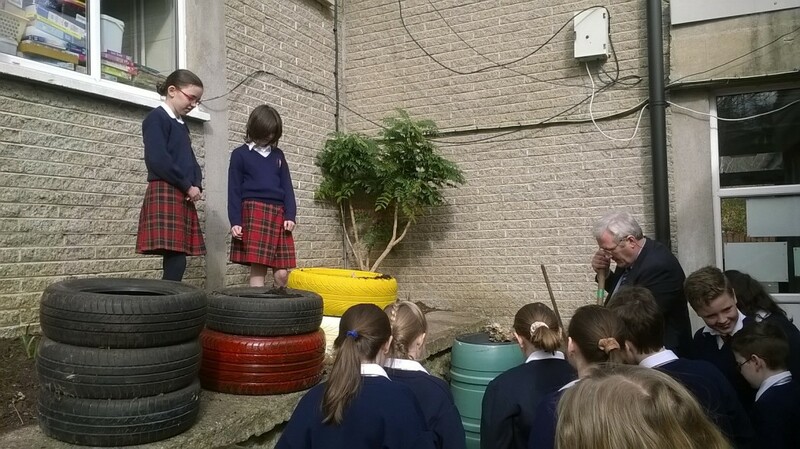 We planted potatoes with Mr. Connor in old car tyres. 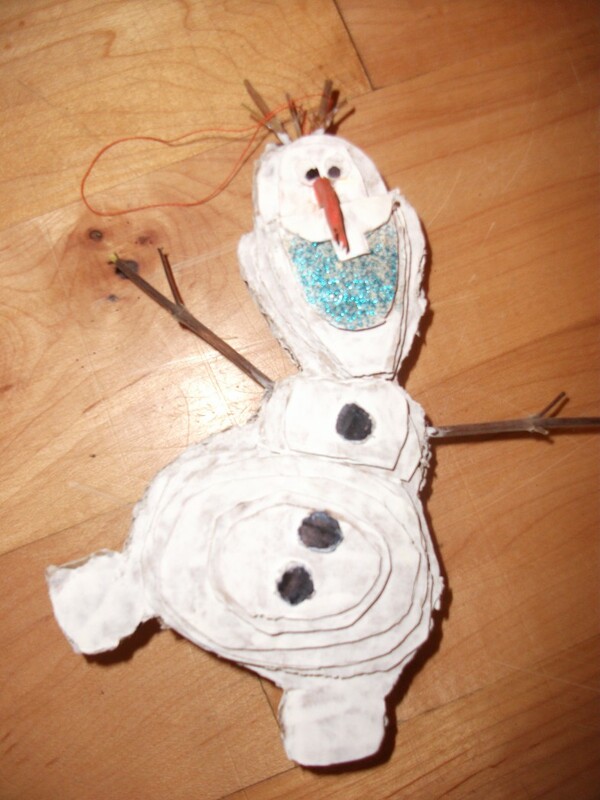 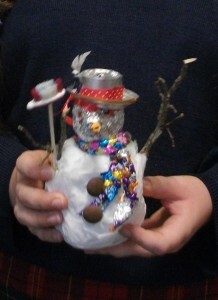 Every year we enter Wicklow Co. Council’s Recyclable Christmas Tree Decorations Competition. 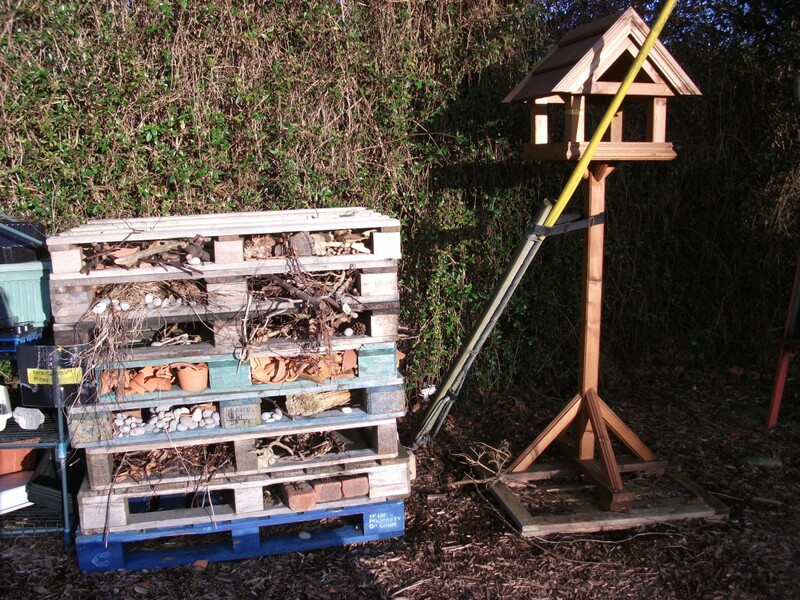 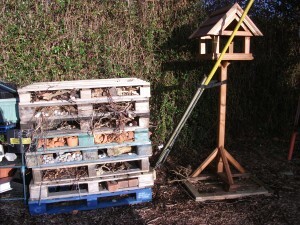 We built a bug hotel with old pallets, clay pots, bricks, green waste and logs. 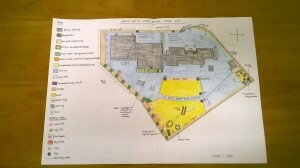 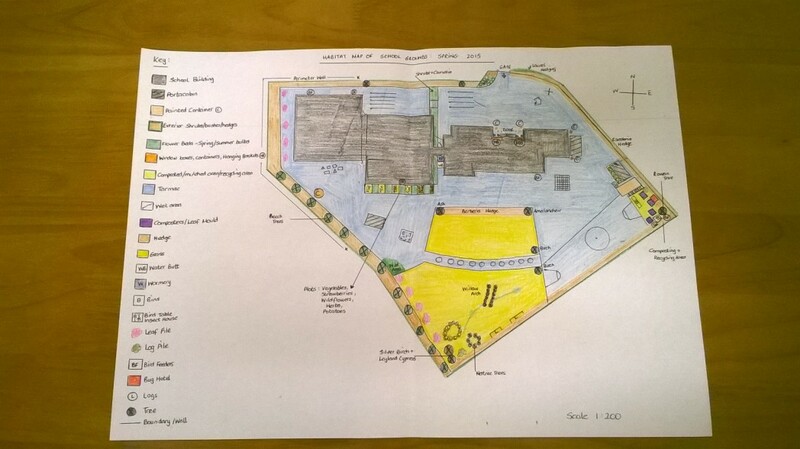 We did a habitat survey and drew a habitat map of our school grounds. Based on our habitat survey, we drew a Biodiversity Map (November 2013). 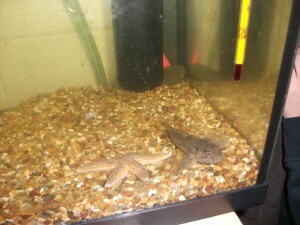 Obi, the Goby and Felix, the Starfish visited the school for six weeks as part of a Marine Explorers’ Project run by Sea Life and Blackrock Education Centre. 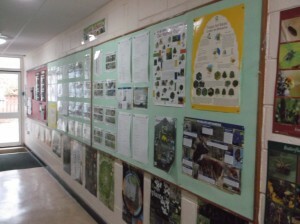 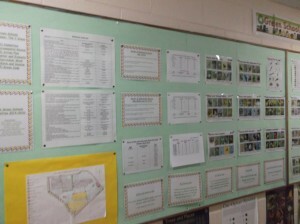 We share information on our Green Schools’ noticeboards.